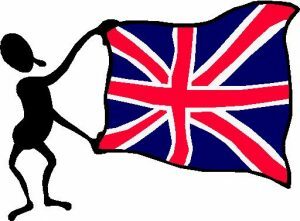 ► All British Car Club based in Orlando area. See website www.allbritishcarclub.com for latest event. ► MINI CLUB of MIAMI–rallies and events throughout the year for owners and lovers of Minis. ► IN APRIL—- BRITISH CAR FANS! MG CLUB’s annual GATHERING OF THE FAITHFUL South in Ocala every April. Event is open to MG owners or enthusiasts. Show is in Silver Springs, Florida. See website www.britishcarclub.net for info. ► OCTOBER—MG Car Club event – All British car and motorcycle enthusiasts are invited to BRIT BASH, the annual celebration of British motorcars and motorcycles in Vero Beach. This year’s date and details on www.mgcarclubflorida.org or call Norman Ridgeley on  532-4265. ► EVERY OCTOBER in Main Street Safety Harbor, west Florida. Call them for this year’s date. The annual All British Car Show and Autojumble—-Main Street is filled with over 200 British cars classic and modern. The event also features a DJ, raffle, vendors, British regalia and food. Free admission. Funds raised benefit a worthy charity. Includes awards where you can vote for your favourite British car. From 10a.m.-3p.m. rain or shine. Run by the Tampa Austin Healey Club. INFO on their website www.tbahc.com or phone  320 4971 and ask for Walt. ► FLAME CAR CLUB for British Mini owners or lovers in the Orlando area. Holds shows, rallies and events throughout the year. INFO on www.flamemini.net Call Gwen Bowen  756-4477. ► SUNCOAST MG CAR CLUB—-many British car events, including their huge annual MG Jamboree in November. INFO: Glenn Lenhard 727-521-9890 www.fsmgcc.com or email glenn@glennsmg.com ALSO Their website lists dozens of other British car clubs in Florida on their Links page. ► FOR OTHER CAR CLUBS around Florida. I was going to put the list up here, but preliminary research revealed there are just too many. —I’d be typing forever. I last updated files May 2017 and found some had merged, folded etc. So just Google to find current ones. Search by “Austin Healey Florida” or “Triumph cars Florida” or “Jaguar Club Florida” and you’ll find them all. Most have websites. ALSO: www.goldcoastbritcar.org has some of the other Florida British car clubs on its website.